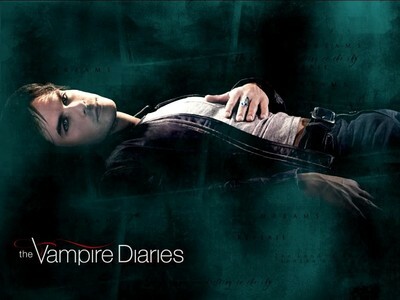 On Friday the second season The Vampire Diaries… ended. As always – the last scenes were so interesting and mysterious, that the credits could gave you a heart attack. Really! And now, the only thing which we can do, is waiting for the next season… a full three months! It’s inhuman. This season was totally different than first. Not worse but so varied. And if somebody liked that cosy climate of first part… well, probably he won’t like this. Because after getting to know Mystic Falls, all the characters, the plot and main problems and secrets… there came a time for a little bit of action, werewolves and… more sercrets and problems. We’ve got so many varied characters and strands than sometimes we can almost get lost. But nothing is so abstract that it becomes incomprehensible – no, after some time all the answers just come to us. Not like in another series – “Lost” – in which were so many secrets even the directors got lost themselvesin some moment. I don’t wanna send somebody to sleep, so I’ll say quickly. First – the negavite sides of second season. – too many deaths – overkill, firmly; for the some time everything was okay – because it’s obvious than in the “war” somebody has to die but after another main character’s death it was as if… well, the actors didn’t want play in this series longer and producers had to do something because of this with the characters; sometimes also people died and… came back to life – many times. At some point it became too far-fetched. – still too little war – okay, this season wasn’t as cosy and nice as the first, but still except for some frays and sticking a knife into other people’s backs… nothing happened. I mean – no war or something like that. We want fight! – poor, weak Damon – okay, I know – everyone is changing – especially when they are in love but… without exaggeration! We all loved the old Damon who was so cruel, absolute – inhuman… and suddenly he changed into a good, honourable man. It’s pathetic. Okay, all we also like when Damon is nice to Elena and he’s saying that he loves her but… it’s enough! 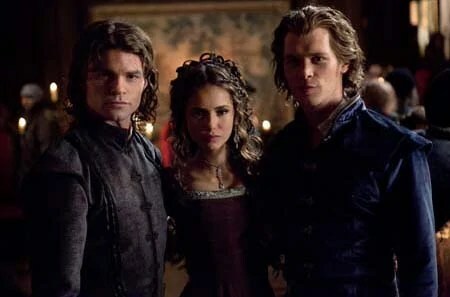 – Elijah and Klaus – two original vampires; in my opinion two of the most interesting characters; they are in some way so different than others – they live honourably and “plighting one’s word” is important for them and… well, they’ve got supernatur powers – even more supernatural than other vampires. And they are very, very handsome what is important, too. So all those things makes them incredible interesting. – other things like… Caroline – who is wonderful as a vampire; Tyler – according to many people… I mean – women – the most handsome guy in TVD (okay, maybe not more than Damon); Nina Dobrev in two parts – Catherine and Elena – she’s great and big Stefan’s transition in the end of the season… yeah, this is it, Stefan! A vampire is a vampire – they can’t not to drink human’s blood… like Edward Cullen. But still the best scene is… the last scene. A dying Damon and Elena who is kissing him – and everyone wants to say again “at long last!”. Well, even if something is annoying us, even if we don’t like poor Damon or all those death of great characters… we’ll be impatiently waiting for the next season and later – every week – for the new episode.